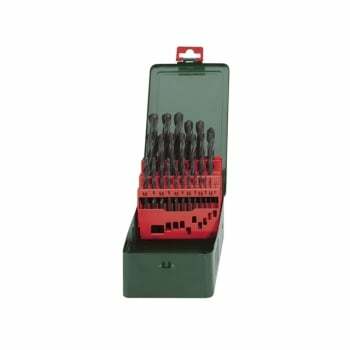 The Metabo HSS-R Drill Bit Set is suitable for drilling in steel, non-ferrous metals, alloyed, non-alloyed and cast steel up to 900 N/mm² tensile strength. 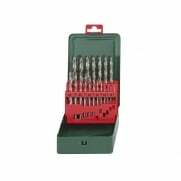 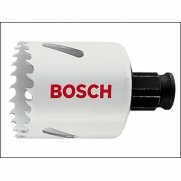 The bits are roll-milled with cylindrical, type N 118° cone-shape tips and have a shell polished surface. 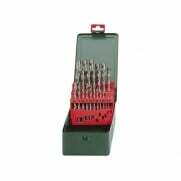 Supplied in a metal tin and contains one of each size: 1, 1.5, 2, 2.5, 3, 3.5, 4, 4.5, 5, 5.5, 6, 6.5, 7, 7.5, 8, 8.5, 9, 9.5, 10, 10.5, 11, 11.5, 12, 12.5 & 13mm.